To conclude a week long festival of performances, workshops, discussions and installations by and for storytellers – come to Yiribana Gallery to undertake a casual self-guided visit of the collection. Join production and festival staff who will be in attendance and enjoying a coffee. 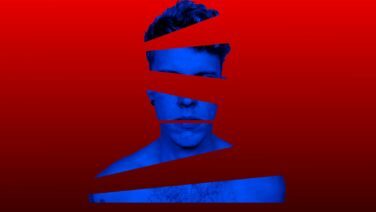 Supported by the Australian Centre for Photography and The Wentworth Courier, check out this year’s Youth Photographic Award and Short Film Prize, celebrating 25 years of creativity in 2018! This year’s exhibition features over 360 vibrant and thought-provoking photos and short films created by local high school students. 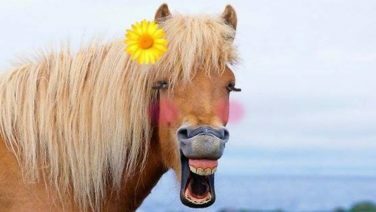 “Children who need to be taught to respect traditional moral values are being taught that they have an inalienable right to be gay. 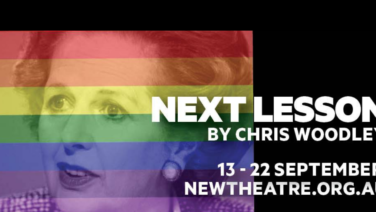 All of those children are being cheated of a sound start in life – yes, cheated.” Margaret Thatcher, October 1987.Spanning two decades, Chris Woodley’s semi-autobiographical play looks at the enduring impact of Section 28 on that boy, the man he becomes, and the school he attends and subsequently returns to as a teacher. Presented by CPAC Youth, this fastpaced adventure features 3 Actors, 39 Characters, 7 Countries… One Extraordinary Experience! 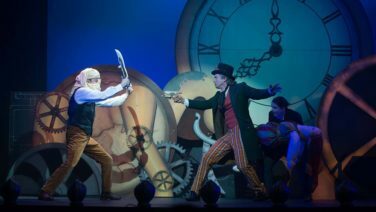 Danger, romance, and comic surprises abound in this whirlwind of a show – one of the great adventures of all time! This is an early week pick me up for the child in you, or for the child you decide to bring along! 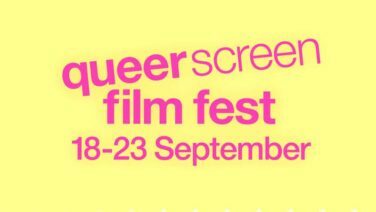 This year’s Queer Screen Film Fest showcases a diverse range of LGBTIQ stories across narrative features, documentaries and shorts. 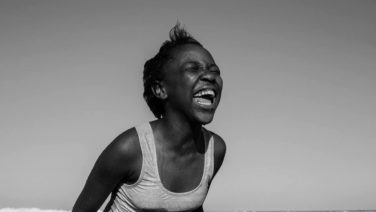 Excitingly, the 2018 edition is the largest festival to date featuring 29 films from 12 countries, including 15 Australian premieres and a massive 55% of films directed or co-directed by women. There’s a heap of options across the week and all centrally located in the CBD. WHEN: Varies – from Sep 18 – 23. From the religious ritual of Snake Handling to reptilian myths of genesis and revelation, EVERYBODY LOSES interrogates societal obsessions with eternal youth, eternal life, and the destruction of our planet. Both a glorious spectacle and a grave work; EVERYBODY LOSES engages with themes of climate change and the 6th great extinction; asking, with the unprecedented scientific documentation of the changing planet, and our failure to respond to the symptoms, is it too late to stop the poison? The ‘John Mawurndjul: I am the old and the new’ documentary (2018) was shot on Country around John Mawurndjul’s home at Milmilngkan, at Maningrida Arts and Culture and a number of significant sites on the Kurulk estate. Detailing the significance of rarrk (cross-hatching), barks, ochres and sculptural works, this video also introduces many of the topics that Mawurndjul depicts in his rarrk, including the spirit beings, ceremony and animals that inform the life of the artist. WHERE: MCA – 140 George Street, The Rocks. 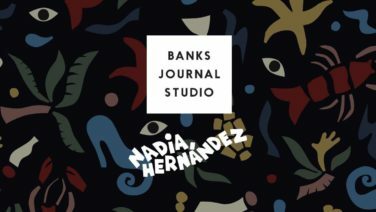 Banks Journal is throwing a party to celebrate our latest collaboration with artist Nadia Hernández. 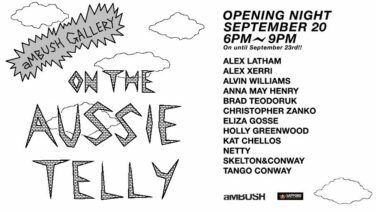 Featuring art by Nadia, DJ set by Carolina Gasolina & Friends, Food, Drink & festivities into the night at Freda’s in Sydney, NSW. 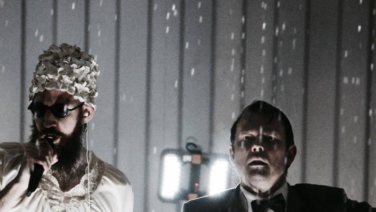 As part of the Sydney Fringe Festival, our pick is ‘The Supreme Gentleman’ at Chippen St Theatre: an examination of gendered power relations, violence, and hypocrisy in an age of political polarisation. It explores the tensions that follow when three writers, who have been commissioned to write a misogynistic terrorist (or an ‘Incel’) are faced with their character when it leaves the page. 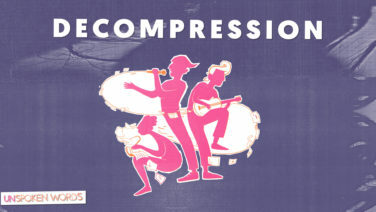 Through various mediums, artists like Tango Conway, Holly Greenwood & Christopher Zanko explore what it’s like to have spent their formative years in an era where lo-fi technology (now largely obsolete) still existed, alongside the rapid rise of the digital world. 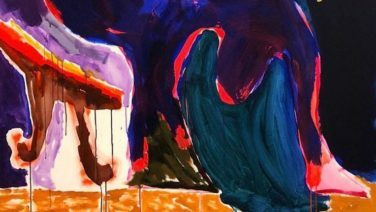 The artworks are underpinned by deeply personal, wistful, and often humorous narratives, revisiting imagery from shows like ‘Round the Twist’, ‘Bananas in Pyjamas’ and the legendary film ‘The Castle’, amongst others. Come for the art and the opening night drinks! 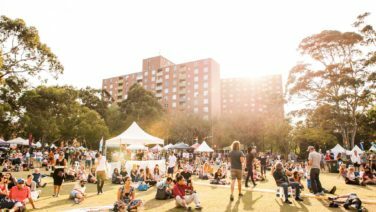 Adjacent to Fringe Fest Parramatta whicih boasts an amazing musical line-up – catch Parramatta Pop Up: Friday Night Lights! 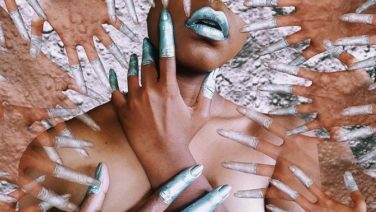 Tonight’s special edition is curated by local artists and FBi favourites: Serwah Attafuah & Jacinta Tobin, plus input from local institutions Information and Cultural Exchange (ICE), Bodega Collective and Beatdisc Records. Mason Kimber’s newest solo exhibition is anchored by the inbetweenness of architecture and memory: places that serve as timestamps, surfaces that form sentiment, and colours that trigger. This new series of work presents silicone impressions created during a recent trip to Manila, as well as his Sydney studio environment. 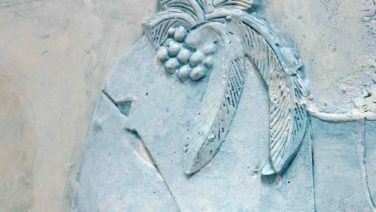 They focus on the skins of buildings, interiors, and sentimental objects — surfaces rich in history, yet through decay, are in the process of being lost forever. 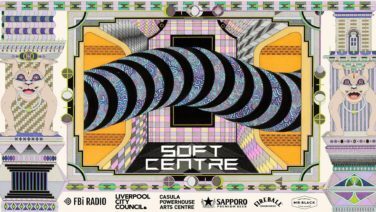 Returning to Casula Powerhouse Arts Centre, Soft Centre is a one day festival of radical performance art, sound and visual design. An amazing lineup, a few to watch out for include: Andy Garvey, DJ Gemma x Justine Youssef x Leila El Rayes, Ella Barclay, Koco Carey x Guy Ruin, Meagan Streader, Mikaela Stafford, Slim set, Splinter Orchestra & Toy Death. 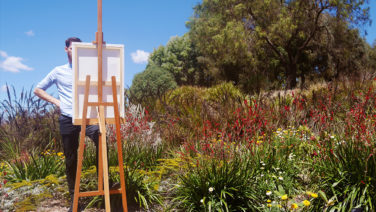 Join artists Blak Douglas and Anney Bounpraseuth for a unique landscape painting workshop inspired by the native plants at the Australian Botanic Garden and paintings as part of Campbelltown Arts Centre’s 30th Anniversary exhibition ‘We are all connected to Campbelltown (one way or another).’ During this workshop, participants will learn practical skills on how to represent the Campbelltown landscape before then being challenged to introduce design elements that overlay personal and cultural narratives into the landscape tradition. In contemporary Western culture death and dying are generally regarded as something to fight against, deny, hide from public view and above all fear. But what if we were to look at them differently? Despite understandable fear and denial, we may have very good reasons to want to learn more about death and dying. 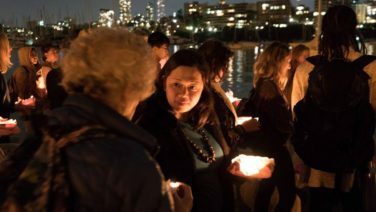 Catch over 20 participatory workshops, performances, talks and ceremonies on different aspects of death and loss.